Memories Imprinted in Clay to Celebrate Making More Holiday Memories. 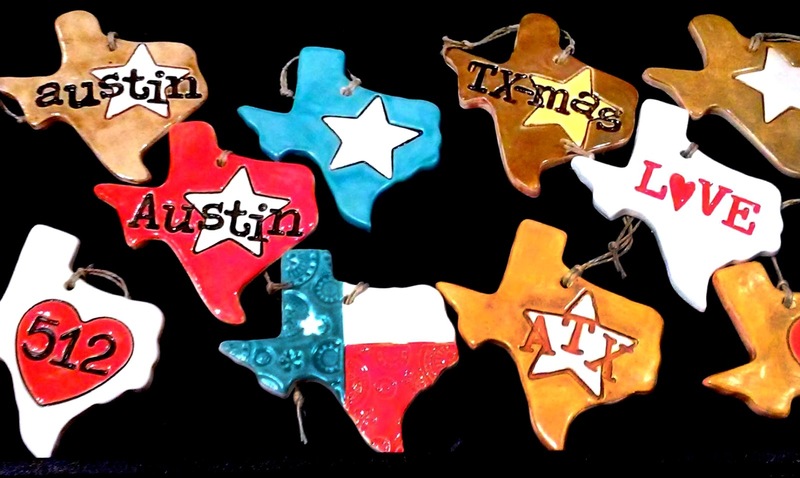 Texas Inspired Ornaments Highlighting the Favorites of our Great State. If you're like many people across the glob, you've picked out a tree to decorate in celebration of the holiday season. We all have a unique decorating style, but chances are at least a handful of your favorite pieces are full of memories. Whether they're homemade or handmade by another, the common thread is they highlight aspects of your life that are important to you. 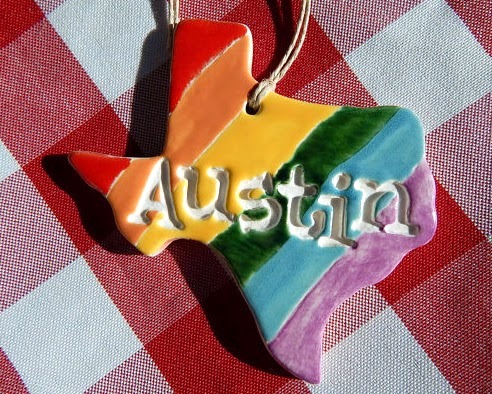 Ornaments for example, like those made by Austin artist Rebecca Pierpont, are a wonderful way to show both holiday spirit and love of our great state, Texas that is. 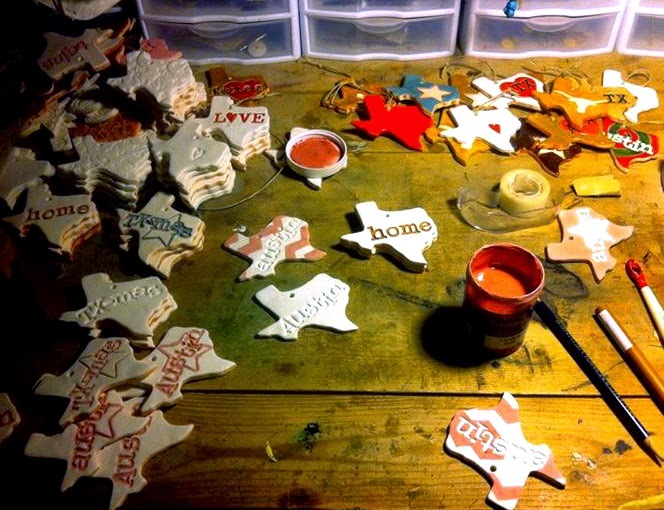 Rebecca has explored a wide variety of artistic techniques and still dabbles in a number of areas, but her current specialty is ceramics, and this time of year, she's making Texas shaped ornaments, perfect for any holiday tree. While her pieces are meant to celebrate your memories of what you love most about Texas, she has also imbedded a few memories of her own in the process. The cookie cutter that inspired her proud state shape is one that she and her mother used back in the day. The colors and patterns applied with imprint and glaze give added flair and individuality to each ornament. They are all handled one at a time to make them one-of-a-kind. Choose from a variety of themes based on what means most to you, from semi-traditional holiday to sports pride to hometown shootouts. Personally, I love the twist on "Xmas" by adding a "T" for "TXmas." And who wouldn't proudly display an ornament with their favorite Texas athletic team's logo. We Texans don't shy away from state appreciation, even in our holiday decor!